Comments: This is a delightful perennial for the shade garden in the upper part of the country. It cannot tolerate the hot, humid conditins of the Lower South. It is paricularly prevelant in the Appalachian Mountains and at other high elevation in the Northeastern U.S. It grows in woodlands that contain a lot of humus in the soils. 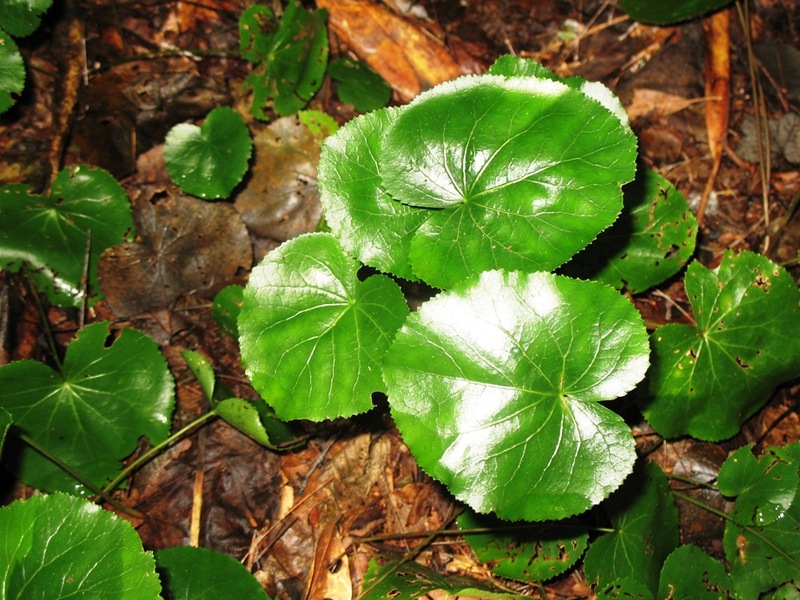 The round to heart-shaped leaves are quite leathery and under ideal conditions can be up to nearly six inches in diameter. They condition well as a cut foliage and will last for months in water. Galax is a popular foliage for hand-held wedding bouquets.